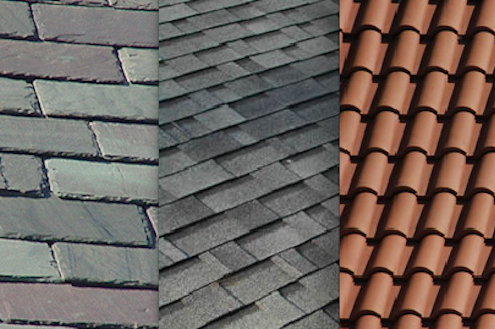 Whether you like the classic look of slate or the long life of metal, when it’s time for a new roof, there’s something for everyone. While asphalt shingles are the old, least-expensive standby, engineered composite shingles are molded to look like cedar, slate or tile. They’re made using recycled materials like old rubber tires and car bumpers, and many are warranted for fifty years. Concrete tile roofs are a great for deflecting the heat of the sun and keeping the house cooler, and they’re great for areas prone to wildfires. Even metal roofs, the old standby for barns, have made a comeback with new colors, styles, and an unbeatable maintenance-free life expectancy. New stainless steel and galvalume-coated metal roofs look great and last a hundred years. They cost more to install, but over the lifetime of the roof the numbers work in your favor. Planting systems for green roofs are now available for pitched roofs, so even if you don’t have a flat roof you can let nature cool your roof and absorb your stormwater runoff.